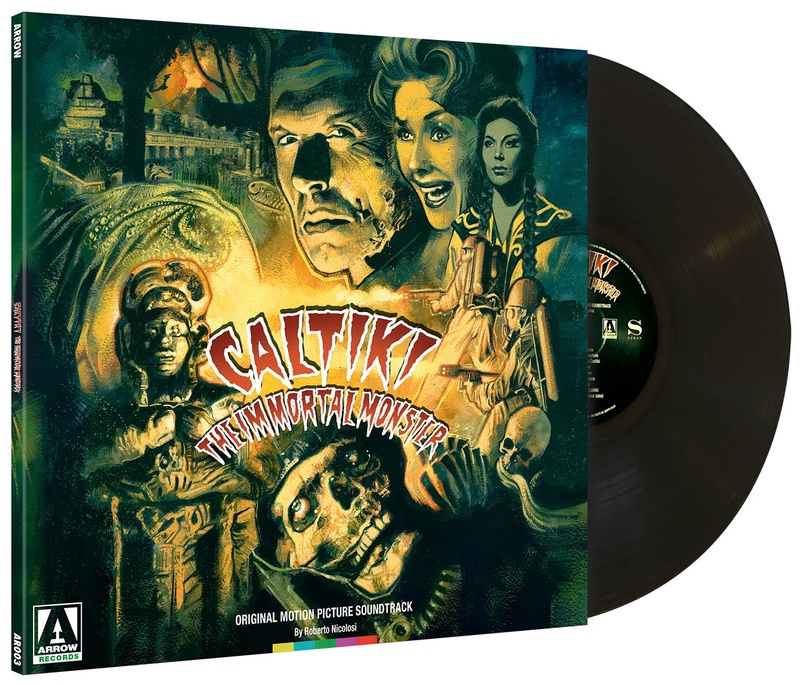 ARROW RECORDS proudly present the original soundtrack to Riccardo Freda and Mario Bava's slimy sci-fi horror cult classic, CALTIKI, THE IMMORTAL MONSTER! Previously unpublished on vinyl, CALITKI is not only one of the earliest Italian horror film soundtracks but also the first of several fruitful collaborations between horror maestro Mario Bava and the talented composer Roberto Nicolosi, whose compositions for the film combine brassy orchestral bombast with unsettling atonal atmosphere. This limited vinyl edition has been newly mastered from the original 1/4" analogue tapes by James Plotkin and is presented on 180 gram wax, housed inside a 350gsm sleeve. Featuring newly commissioned artwork by Graham Humphries, and accompanying film notes by Tim Lucas.